Questions About Long Term Care or Nursing Home? 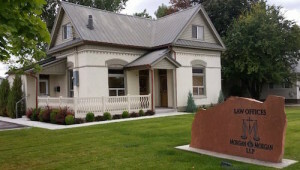 With Offices in Lehi and Santaquin, Utah, the Attorneys at Morgan & Associates are Estate Planning Specialists. Estate Planning, whether simple or complex is always very personal and requires personal attention. We aim to make every client feel like our only client. With every estate plan whether it’s a will or trust our primary goal is to cut family conflict conflict and increase independence for our clients. Every document we create for our clients is tailored to their needs and situations. Many attorneys claim to practice estate planning with fill in the blank forms and one size fits all plans; not us. We take the time to craft each will, trust or business document according to the top industry standards. Our plans are well organized and easy to read and use by everyday people. Having helped many satisfied clients craft the right estate plan for their future and their family, we know that choosing the right professional to help guide the process and manage the plan is important. Our firm is not a “take your money and run” experience, we offer free yearly reviews of every plan we create and hope to stay in regular contact with clients long after our initial service ends. We work with seniors, adults with special needs, and their loved ones to plan for incapacity so that as much independence as possible is preserved. At Morgan & Associates we offer comprehensive estate planning to help seniors and other adults with special needs prepare for and deal with incapacity. Finally, we are cost conscious and will always be upfront and honest about fees. We recognize that it’s a privilege to work with great clients and we don’t take it for granted. If you need help creating your Utah Will or Utah Trust Plan, give us a call today! Our Utah Estate Planning Experts put your needs first !